This beautiful 3800 s.f. 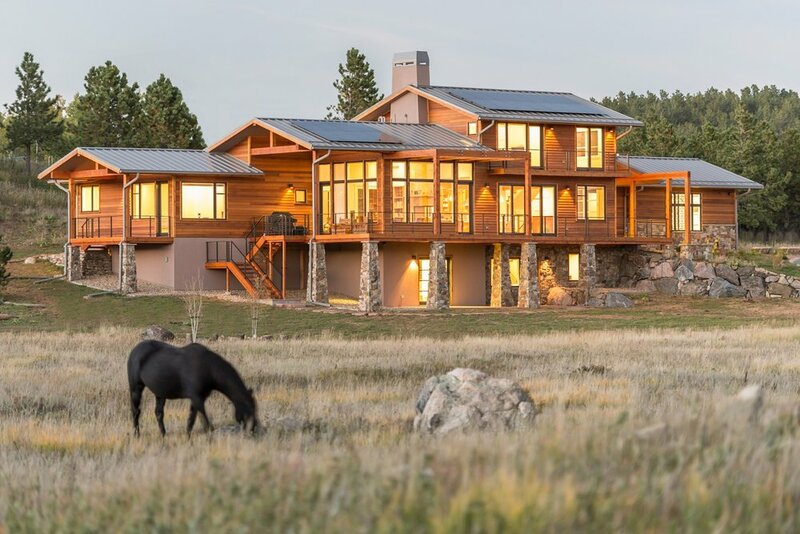 contemporary Colorado mountain home is built on one of Gold Hill’s original homesteads. 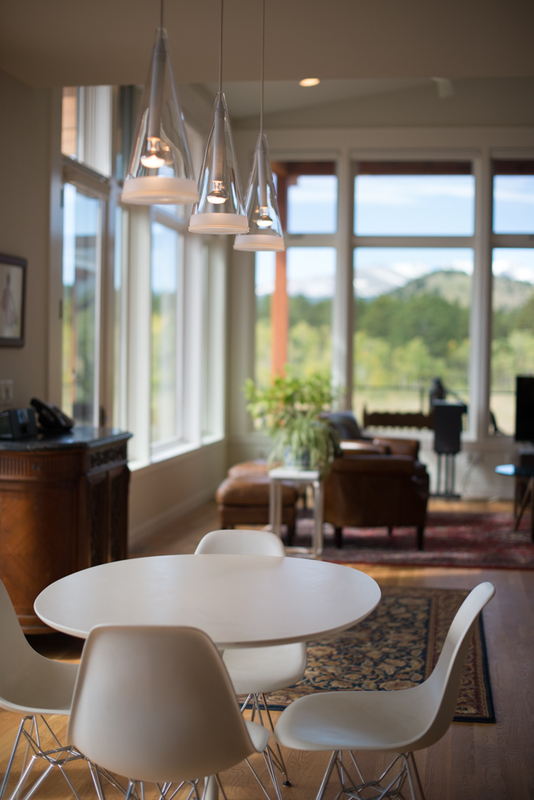 We designed the house to maximize the sweeping views of the Switzerland Trail and Indian Peaks mountain range. The open floor plan brings natural light and passive cooling into every part of the house; the vaulted ceilings create an airy, sunny feeling. Every room opens to generous patios and decks to facilitate easy indoor/outdoor living. 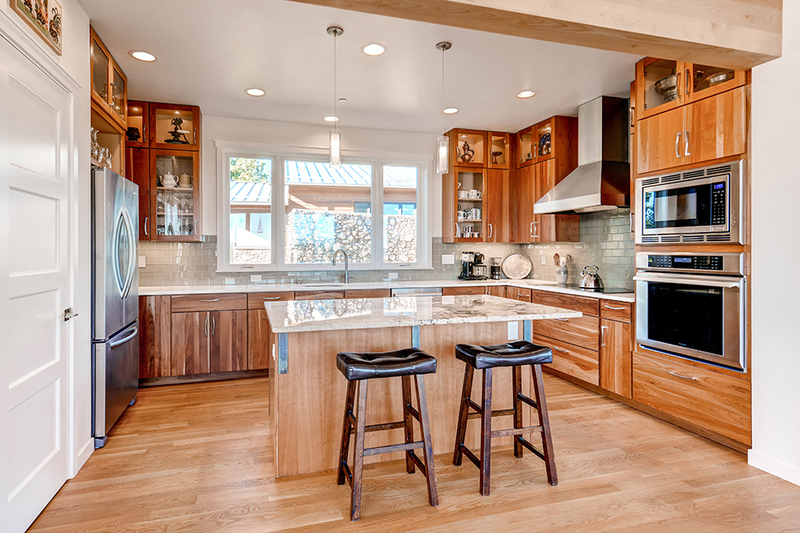 White Oak floors, granite counters and local flagstone finishes lend a warm modern texture to the home. We carefully preserved one hand-built quartz wall that was part of the house that formerly occupied the site, and restored the original adjacent homestead, successfully receiving Historic Landmark designation. This very energy efficient home (HERS 40 – uses 60% less energy than allowed by code), uses solar–photovoltaics, foam insulation, Energy Star windows & appliances, LED lighting, and a high-efficiency mechanical system. It uses EPA Watersense plumbing fixtures and Xeric landscaping to dramatically reduce water use.